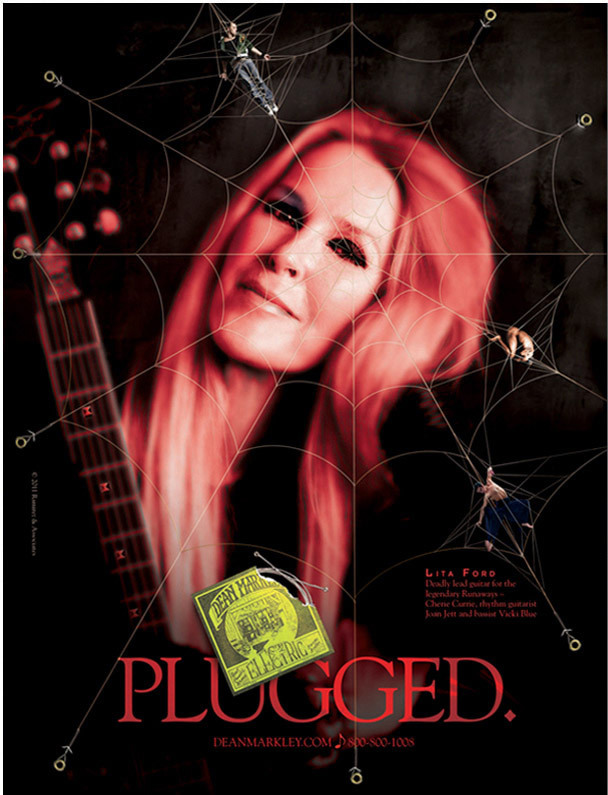 Lita Ford was the lead guitarist for The Runaways, in the mid-to-late 70s. Since then she has her own act, whose persona is a Black Widow. The web is made of guitar strings threaded through the page trapping some tasty insects. The ad in appeared in guitar magazines in Europe.